“That’s the real payoff of this whole mission and that’s still lying ahead of us,” said the mission’s chief scientist, Bruce Banerdt of NASA’s Jet Propulsion Laboratory in Pasadena, California. 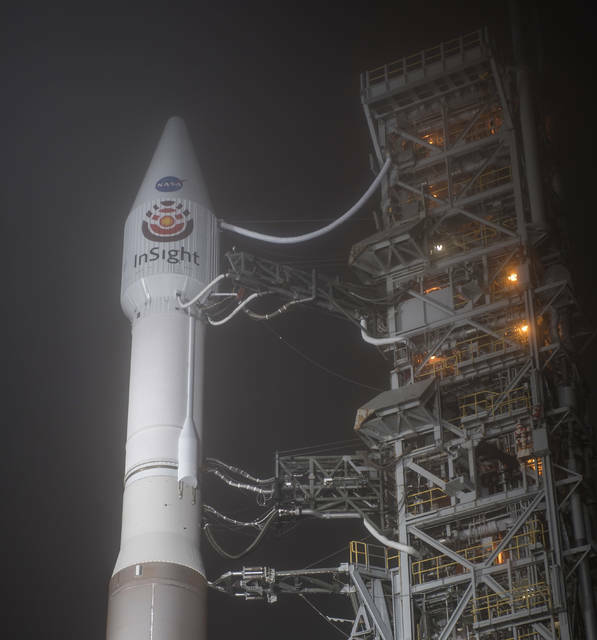 Besides InSight, the United Launch Alliance’s Atlas V rocket gave a lift to a pair of mini test satellites, or CubeSats, that are trailing InSight to Mars to serve as a potential communication link. Nicknamed WALL-E and EVE from the 2008 animated movie, the twin briefcase-size spacecraft popped off the rocket’s upper stage in hot pursuit of InSight, as elated launch controllers applauded and shook hands following the morning’s success. NASA hasn’t put a spacecraft down on Mars since the Curiosity rover in 2012. The U.S., in fact, is the only country to successfully land and operate a spacecraft at Mars. It’s tough, complicated stuff. Only about 40 percent of all missions to Mars from all countries — orbiters and landers alike — have proven successful over the decades. Banerdt said Mars is ideal for learning how the rocky planets of our solar system formed 4.5 billion years ago. Unlike our active Earth, Mars hasn’t been transformed by plate tectonics and other processes, he noted. InSight might also help explain why some planets — like ours — went on to develop life, while others did not. 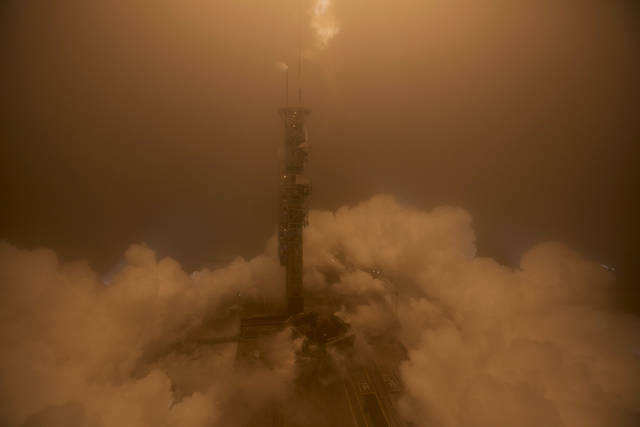 Over the course of two Earth years — or one Martian year — NASA expects InSight’s three main experiments to provide a true 3-D image of the interior of Mars. Scientists know Mars has an iron core and a crust, but beyond that, the inside is “basically, completely unknown,” said Banerdt. The lander is equipped with a seismometer for measuring marsquakes, a self-hammering probe for burrowing beneath the surface, and a radio system for tracking the spacecraft’s position and planet’s wobbly rotation, thereby revealing the size and composition of Mars’ core. “InSight, for seismologists, will really be a piece of history, a new page of history,” said the Paris Institute of Earth Physics’ Philippe Lognonne, lead scientist of the InSight seismometer. The fog ruined the view for those gathered at Vandenberg along the central California coast. But it was a marvelous sight farther south. 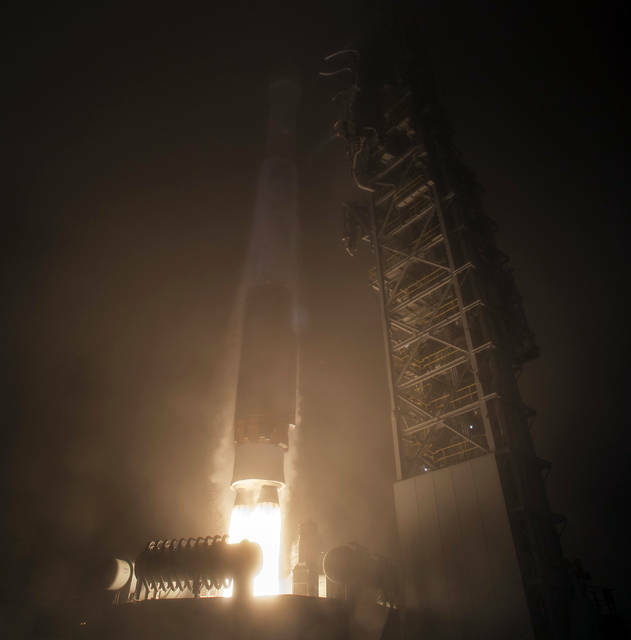 The rocket’s bright orange flame was visible for some time as it arced upward across the dark sky west of greater Los Angeles. Not even two weeks on the job, NASA’s new administrator, Bridenstine, observed the launch on monitors at space agency headquarters in Washington. “I can’t think of a better way to start my day!” Bridenstine tweeted.